Dakar Rally 2014: Great Wall Haval and Lavieille moves up after Stage 10. 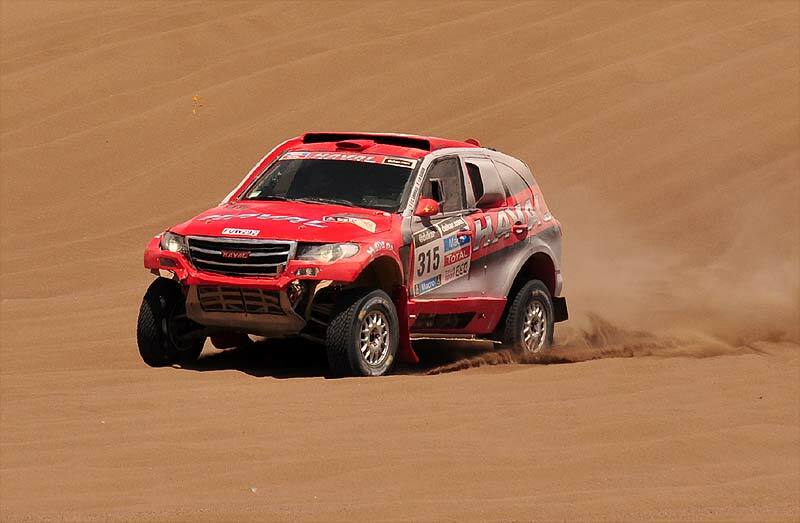 As Great Wall Haval team principal, Dong Ming, predicted at the halfway stage of Dakar 2014, the fierce battle at the top of the leader board would inevitably lead to retirements as the race drew to a close. Carlos Sainz of Spain, already plagued by technical problems and penalties throughout the race, crashed his fast but fragile SMG Buggy out of the event during Stage 10 in spectacular fashion. Sainz suffered light injuries in the crash. With Sainz out of contention, GWM/Haval´s Christian Lavieille now moves up to eighth overall, following a consistent run in Stage 10 where he achieved the 11th fastest time. Crucially, he completed the stage in a faster time than the 7th placed Toyota of Dabrowshi/Czachor and is now less than 30 minutes behind.